Caption slip reads: "Photographer: Wesselmann. Date: 1958-01-14. Reporter: Coart. Assignment: Fire at John Wayne's house. 28: Firemen fighting flames. 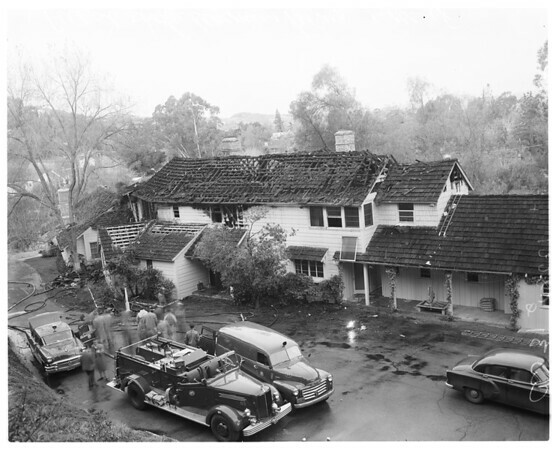 29-30-31-33: Other shots of burned building by daylight".